According to the Oklahoma Highway Patrol two people were injured in a motorcycle accident that occurred on September 25, 2018 at approximately 10:40 am on county road Pear Grove road, two miles south and three miles west of Talihina in LeFlore County. 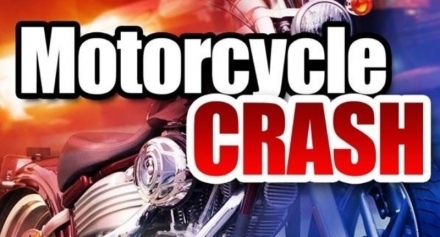 According to the report, 1996 Honda Motorcycle, driven by Troy Tarwater 55, of Albion was traveling westbound on county road Pear Grove when he turned his head to the right for an unknown reason and lost control of the motorcycle. Tarwater was transported by Tulsa Life Flight to St Francis Hospital Tulsa listed in serious condition with multiple injuries. His passenger, Sandra Fortier, 59 from Albion Oklahoma was transported by LeFlore County EMS to Choctaw Nation Hospital in Talihina and was treated and released.